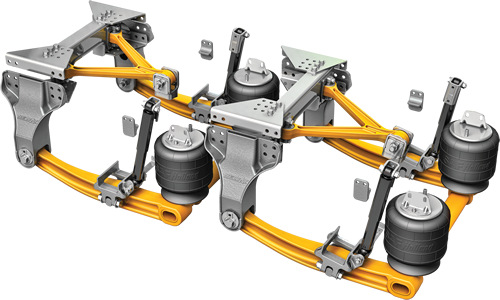 From heavy-duty multi-axle truck to lightweight bus suspensions, we specialize in manufacturing suspensions that meet a wide range of vehicle applications. The NEWAY ADZ is 100% off-road capable, but yet still a particularly lightweight air suspension for heavy-duty trucks and tractors. 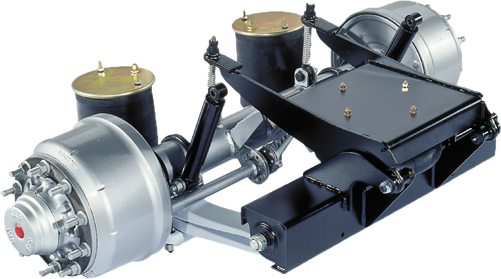 SAF Air Suspended Tag Axles were built for increased payload, more driving comfort, and simple installation. - Available in drum and disc brakes.